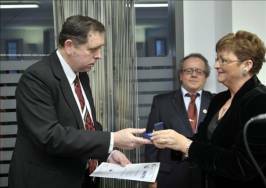 The Hungarian Raoul Wallenberg Association bestowed its first Raoul Wallenberg Award on 17th January for the first time. The ceremony took place in the Budapest Holocaust Memorial Center. 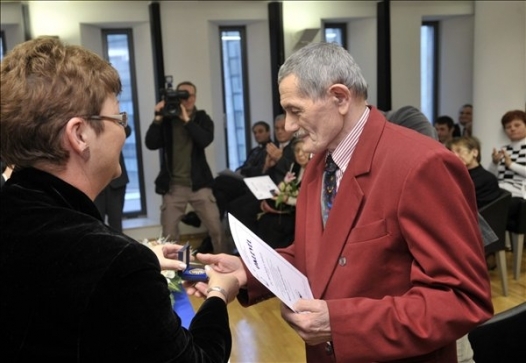 The award was established by the Hungarian Raoul Wallenberg Association, the Ministry of Education and Culture, the Ministry of Social Affairs and Labour, the National Alliance of Self-governments and the Roma (Gipsy) Civil Right Foundation. The speakers of the event were Edit Rauh, Secretary of State of the Ministry of Social Affairs and Labour, chair-person of the Raoul Wallenberg Award Committee; Erno Kallai, Parliamentary Commissioner for National and Ethnic Minority Rights; Anders Karlsland, the Swedish Ambassador’s deputy, and Dr. Jozsef Sebes, Chairman of the Hungarian Raoul Wallenberg Association. The recipients of the award were: Geza Dul, catholic priest, chairman of the St. Elisabeth Charity Foundation; Laszlo Somos, catholic priest, dean, teacher; Dr. Laszlo Rozner, President of the Jewish Community of the 4th District of Budapest; Dr. Jozsef Szecsi, catholic theologician, general secretary of the Christian-Jewish Society; Mrs. Jozsefne Toth, teacher, editor of the monthly, Roma (Gipsy) Family News. The event was attended by Catholic Bishop, Dr. Miklos Beer. At press conference held the same day, Dr. Jozsef Sebes, Chairman of the Hungarian Raoul Wallenberg Association, delineated the organization’s last year activities. Andras Sipos, Executive of the Association, announced the new initiation of the organization. The Association suggests a program for the peaceful solution of social and ethnical conflicts. Moreover, it initiates a ”Movement for Social Peace,” in special consideration of this year parliamentary and local elections. Following these events, a commemorative celebration took place at the Raoul Wallenberg Street, in front of the Wallenberg memorial plaque, where Dr. Sebes delivered a speech. The ceremony was attended by Anders Karlsland, the Swedish Ambassador’s deputy; Jozsef Toth, Mayor of the 13th district of Budapest; Andras Puskas, Vice-Mayor of the 5th district; MPs Tibor Szanyi and Pal Steiner. The events had a high presence in both printed and electronic press. 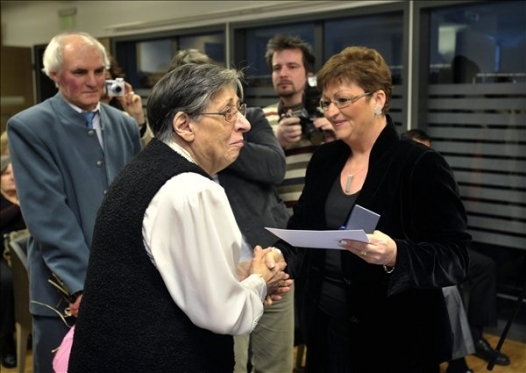 In addition to daily newspapers, radio and television stations reported the events, including interviews with Dr. Sebes, Mr. Sipos and the awardees. 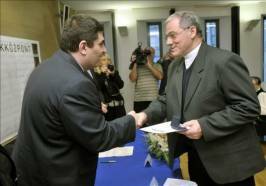 Among them, it is worth mentioning the report produced by the main state-owned television station, which interviewed Mr. Sipos and Dr. Szecsi, one of the awardees.